The world's first all-electric fun utility vehicle (FUV) debuted this weekend in San Diego. Designed and produced by Oregon-based Arcimoto, the FUV is a three-wheeled, two-seater vehicle that tops at 80 mph. With a range of 130 miles per charge, the compact car can go from 0 to 60 mph in 7.5 seconds. 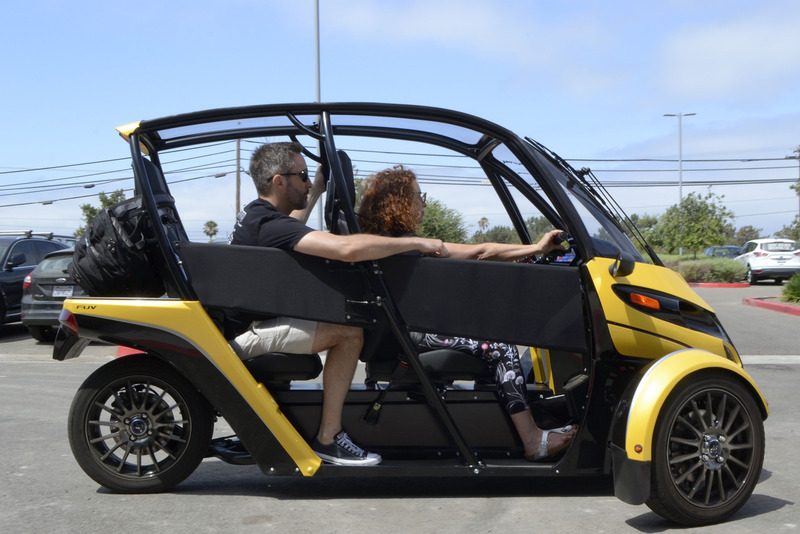 Arcimoto has partnered with HulaCar to provide 100 FUVs for a carsharing program in San Diego that is expected to launch by the end of the year. Auto Rental News was on-site Friday with Arcimoto staff, investors, and electric vehicle enthusiasts to test drive the FUV in Carlsbad.